The first document is the presentation page for the book described in my last entry. I do not believe Lee-o-netto made the inscription on this page. The second document is a full view of the photo from the presentation page. I have here a very fine photo taken by W. Martin of Salamanca, NY. 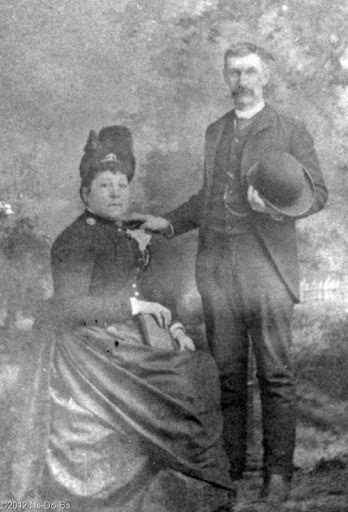 The picture is of Lee-o-netto and her 2nd husband, Charles J. Dodge. 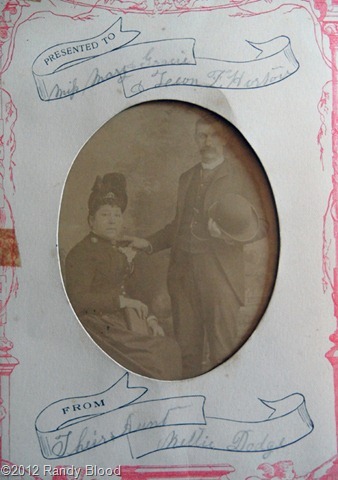 The photo appears to be quite formal, and is perhaps a wedding photo. It would have been taken no earlier than 1888, but I do not yet have a firm date for the disintegration of the marriage. They appear to be a couple in the 1900 census but are separated by the time of the 1910 census.